Vism VR30T09 Tactical Scope Rings Fits 30mm & 1" Scope Tubes Diameter. Scope Rings come with removable 1" inserts. Rings Mounts onto Weaver/ Picatinny/ MIL-STD 1913 type rails. Hexagon Shape steel mounting nut, with holes for torquing with Allan key wrench. Black Anodized Aircraft Grade Aluminum Construction. Rings sold as a Pair. 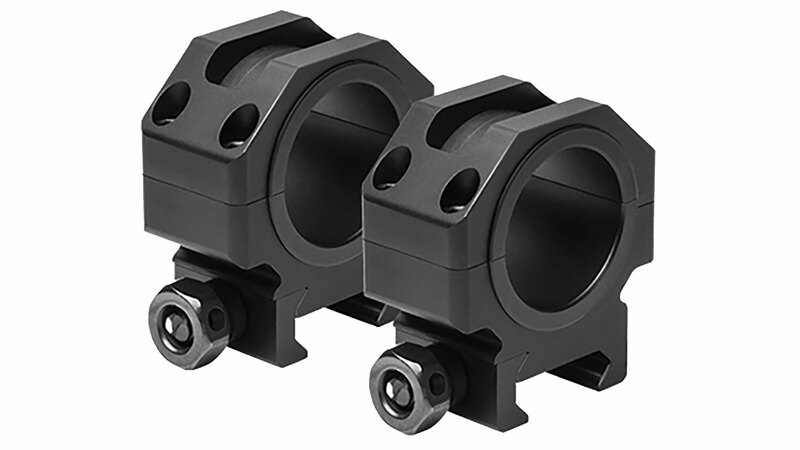 - New Tactical Series of 30mm Scope Rings. - 30mm Scope Tube Diameter Rings with removable 1" inserts. - Mounts onto Weaver/ Picatinny/ MIL-STD 1913 type rails. - Hexagon Shape mounting nut, with holes for torquing with Allan key wrench. - Rings sold as a Pair. - Optic Centerline Height: 0.9"
- Ring Overall Height: 1.8"